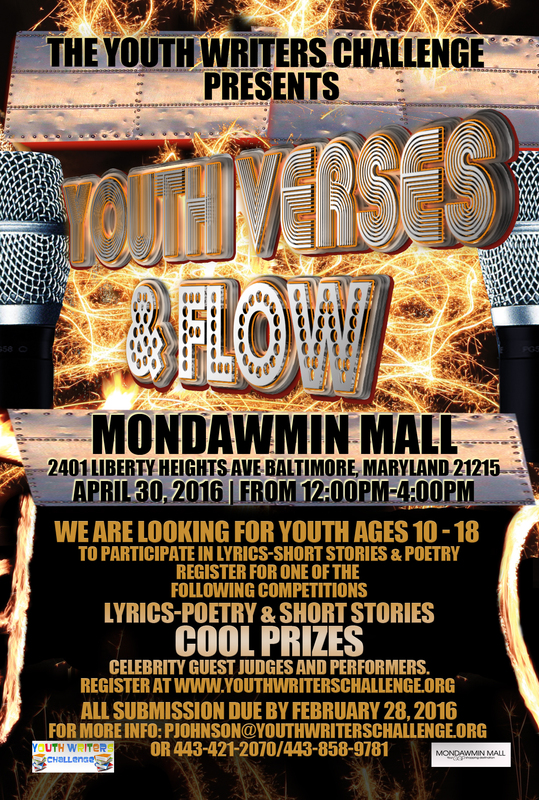 Youth in grades 4-12 sign up for the 2016 Youth Verses and Flow Challenge. 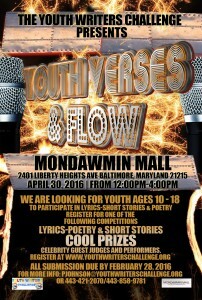 Youth can enter the challenge by submitting poetry, short stories or lyrics. Cool Prizes, celebrity judges and loads of fun.